Global supplier of secure door solutions, Ingersoll Rand Security Technologies, has won a prestigious contract to provide steel doorsets to London’s latest skyline addition, the Leadenhall Building. 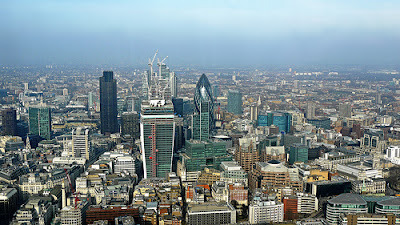 The 225 metre high skyscraper, also known as the ‘Cheesegrater’ thanks to its unique wedge profile, was deliberately designed to preserve the sight-line to neighbouring St Paul’s Cathedral and marks yet another in a long line of developments by British Land and Oxford Properties. Laing O’Rourke Construction commissioned Ingersoll Rand to supply more than 1,500 general, fire and acoustic steel doors from its high-quality Martin Roberts Contract Series, with the first batch appearing on site in late 2012 and the balance through 2013. Ingersoll Rand secured the contact by offering effective solutions in response to identified problems over the 14 month negotiation period, as well having a proven track record of supplying steel doors to other iconic London buildings such as One Hyde Park and The Gherkin. The Door Solutions team has also advised on a series of alternative solutions, resulting in a cost reducing yet still hi-spec access hatch product throughout the building. “This project win marks another in a long line of London success stories for Ingersoll Rand Security Technologies. “Having worked closely with the lead construction company over the past 14 months, we believe the trust and rapport between our two companies played an important part in finalising the contract. 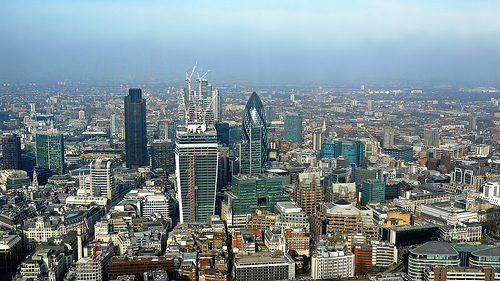 Ingersoll Rand is also supplying doors and ironmongery for the so-called ‘Walkie-Talkie’ skyscraper on Fenchurch Street, London, which is due to be completed in 2014. For more information on Ingersoll Rand please visit www.ingersollrand.co.uk.